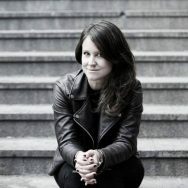 My name is Sofi Lundin and I´m a Swedish freelance photographer covering East Africa. I am working for international media, non-governmental organisations and on personal projects. In 2017, I was named Rising Star in Photography, by Adobe. My photographic and journalistic work is characterised by a belief that humanity should always be reflected when reporting, be it stories on refugees in South Sudan or the LGBT community in Uganda. I have worked for various international newspapers and magazines, among them: The Guardian, Aftenposten, New Internationalist, Dagens Næringsliv (DN), Jyllandsposten, Omvärlden (Sida´s magazine), VG, The Documentary Magazine Plot, Perspective and Bistandsaktuelt (Norad´s magazine). My education in social anthropology as well as many years of work experience with various humanitarian, non-governmental organisations (NGO´s), has laid the base for the work I do today. Norwegian Refugee Council, The Rainforest Foundation, Save the Children, Norwegian Church Aid and The Norwegian Society for Sea Rescue (Redningsselskapet – RS), are a few of my clients. I am a member of The Norwegian Union of Journalists and Reporters Without Borders.